A piano is a highly complex instrument in which over 8,000 parts made of wood, leather, felt and steel work together smoothly—an extremely sensitive mechanical and musical marvel. And a fine piece of furniture which is deserving of appreciation and respectful treatment. 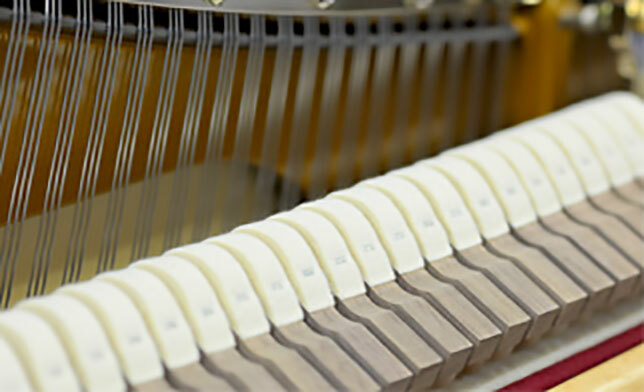 We recommend that you maintain your piano meticulously and have it serviced regularly. This will ensure you a lifetime of enjoyment with your piano. Before your piano left our factory it was carefully tuned and voiced—with the musical ear and all the skill and experience of our voicers. Nevertheless, the complex construction of a piano, regular use and outside influences make it imperative that your instrument be tuned, voiced and regulated at regular intervals. We recommend once or twice each year. 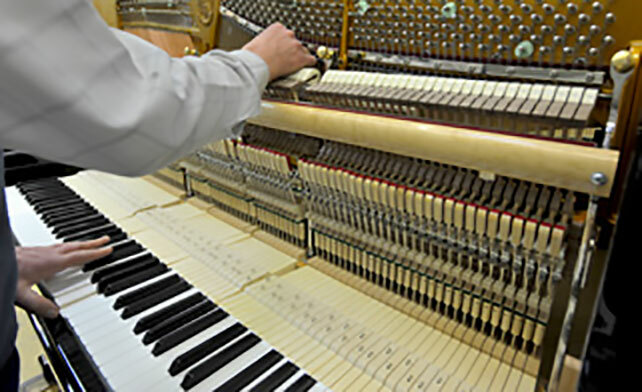 Please entrust these tasks, as well as the cleaning of the piano's interior and all maintenance during the warranty period, to an approved SAUTER piano technician.